We like our organ to be used! We can make the organ available for practice and playing by people with a reasonable degree of organ playing experience. We offer an induction session and then you can book practice sessions with our Head of Learning. 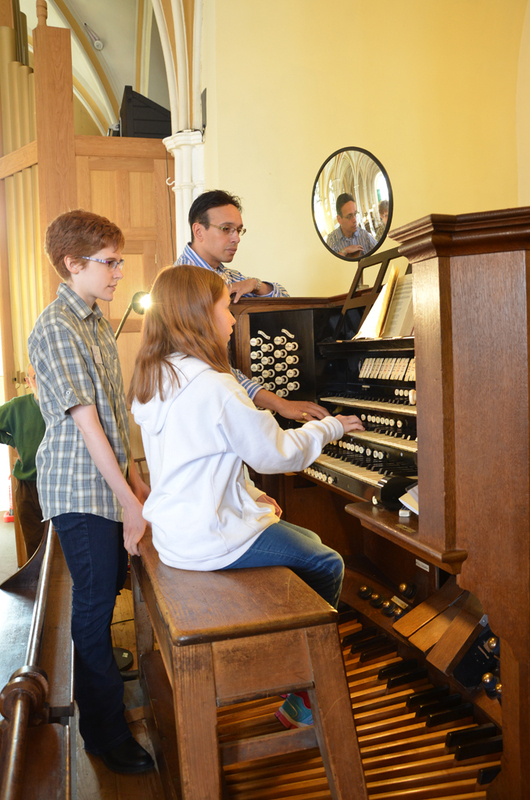 We welcome visits from organist associations and clubs who would like to play the Willis organ as part of a group or club meeting. We recently welcomed the Buckinghamshire Organists Association - every member had time at the console playing the organ and trying out different stop combinations, looked through the photo books and displays about the organ as well as a short introduction to the Willis by one of our volunteers. Members of the BOA will be returning to play a Third Thursday at Twelve Thirty concert soon. Please email our Visits Team at visits@musicforallsmsg.org to get in touch to make arrangements.